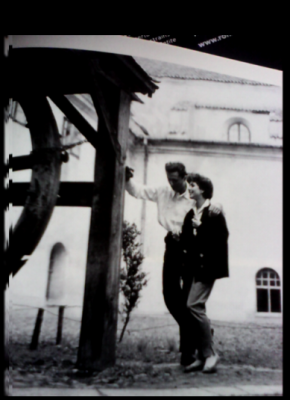 “Marek asked me to come and tell you that he loves you.” The young Polish writer Marek Hlasko took German actress Sonja Ziemann’s breath away when he turned up on the film set of Eighth Day of the Week in Wroclaw in 1956. He didn’t speak a word of her language; he found a go-between and refused to give up. Soon they were together. It’s a story I would like to have written, as a fly on the wall, for all that was at stake, politically and artistically as well as emotionally. After the war the big industrial city in Poland’s west was a hotbed of avant-garde cinema. Director Aleksander Ford was adapting Hlasko’s novella of postwar working class life that had been a runaway success. But the country was Communist, with an official ideology, and the authorities weren’t happy. They demanded Ford tone down the hopelessness that thwarted the young lovers in Eighth Day. Crumbling apartments and drunks littering the streets didn’t belong to the Communist dream. Ziemann’s seedy agent, who fancied his own chances with the doll-like actress, wasn’t keen on Hlasko either and so concerted efforts were made to keep the author off the set. But Hlasko’s mind was made up from the moment he saw Germany’s answer to Audrey Hepburn. And so an ideological struggle turned into a personal one. Ziemann’s memoirs, published in German in 1998 as Ein Morgen gibt es immer (There’s Always a Tomorrow), richly document Hlasko’s tragic short life. Her understanding is limited. She loves him too much. Nor does her hugely detailed account of her fifty-year career cast light on her own character. Devoted to her own career, and to her son by her first marriage, she nevertheless becomes lover, wife and helpmate to a man driven by aggression and passion and fuelled by drink. He hits her, smashes the furniture, demands to know how she can have ‘left me four times’. The memoirs are a nightmare. The relationship lasts on and off thirteen years, until Hlasko’s death from an overdose of barbiturates in 1969. Hlasko’s fiction, which packs such a punch, is better read in ignorance of what happened to the author. As a critic I’m not keen on the biographical approach to the text. But for me as a writer of fiction Hlasko and Ziemann are both stories in their own right. Hlasko was effectively turned out of his native Poland by the Communists he then hated for the rest of his life. They played a trick on him when he landed abroad and wasn’t allowed back. His first problem was how to earn his living and his second who to be. In Poland he had done manual work since his mid-teens and all the material for his fiction came from what in 1991 the German news magazine Stern would call “proletarian sadness in the midst of the workers’ paradise.” Ousted from that tense, coercive, downtrodden postwar east bloc, he had nothing else to write about. As Sonja put it: “A prosperous democratic society with a social safety net had nothing to offer him as a writer.” The study the Ziemanns created for him in their upmarket townhouse in Berlin’s Zehlendorf district remained a study in name only. It was the place where he wrote nothing. Though talked of in connection with a Nobel Prize (as Sonja reported), Hlasko spent his first years in the West days drunk and displaced, an airless existence with little pockets of intense personal happiness in between. When he took the chance to go to Israel in 1959 (nothing to do with religion, he was a Roman Catholic) he thought he was going to work on a newspaper but ended up labouring for a pittance in the desert. Worse still, when he came back to West Germany, the public thought this husband of one of Germany’s most successful and glamorous actresses was indulging in champagne socialism, reverting to work as a bricklayer. Hlasko was not only trapped in an image he couldn’t get out of. Labouring was also the only economic reality open to him, for as long as he couldn’t support himself with writing. Evidently he felt some affinity too. He was a macho man, a body-builder, and saw his writing almost as an accident. 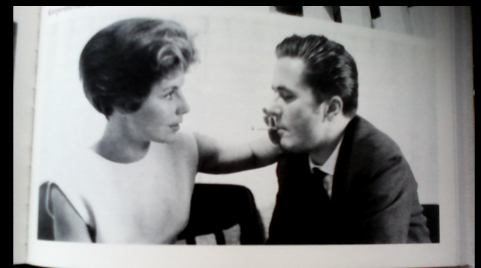 They eventually got married on 20 February 1961 at Caxton Hall in London. Sonja, having broken off the engagement before, was now routinely feeding Marek anti-alcoholism pills as part of the standard treatment then. After each pill he would kiss her hand. But no sooner were they happy than history dealt them another blow, when the Berlin Wall was suddenly erected, on 13 August 1961. Hlasko may not have done much writing there, but Berlin was finally his new home. He fitted well in the family and was a friend to Sonja’s father and now eight-year-old Pierre. But Communism reaching west destroyed that security too, and the whole family fled to Munich, in the far south of Germany, to feel safer. I’m portraying Hlasko as a homebird, which he wasn’t at all. He often took off. In Munich he had Polish compatriots working at the American anti-Communist propaganda station Radio Free Europe who became his drinking friends. If stimulant addiction always loomed, so did a fondness for women. Filming in Paris Hlasko had an affair with his director’s wife which seriously threatened his marriage. “You are like a clear stream for me, that cleanses me,” he said, trying to hold on to a jealous Sonja, before and after a major overdose. Between March 1963 and March 1965 he spent 242 days in a clinic. His death in 1969 was quickly followed by Pierre’s the following year. Marek had been thirty-four, Pierre not quite seventeen. Sonja, bildhübsch, pretty as a picture, played Eliza Doolittle in the German stage version of My Fair Lady and was the all-dancing, all-singing star of many, many film, theater and tv productions besides. She was Blanche in the first German production of Cat on a Hot Tin Roof Meanwhile her husband the James-Dean-lookalike (an image he enjoyed), may have been an arch-manipulator, but no Pole of his day wrote like that. As Sonja said, he was a very conservative man in private life (which meant he was irrationally jealous of her). Somehow his Catholic faith survived a lifetime in which he treated his own flesh abominably and hers not well either. He had a difficult, more or less estranged relationship with his mother, which Sonja tried to make good. Out of this, despite it, came literature no one else could have written, like Killing the Second Dog. Evidently it was the time in Israel that gave him the background for that novella, but you can probably see there too, set against the desert background and the torturous immigrant life, something of Hlasko’s happy relationship with Sonja and Pierre. Pierre in particular is the young son of a mother without a husband and who needs a father to idealize. Hlasko himself is suspended between confidence trickster, true lover and an exile who just needs to survive, from job to job, country to country. These, if you like, are the bonus stories that hover in the background of the published work. New Vessel Press, founded in 2012, is an independent publishing house specializing in the translation of foreign literature into English.